Where can I get a new download of the plugin? 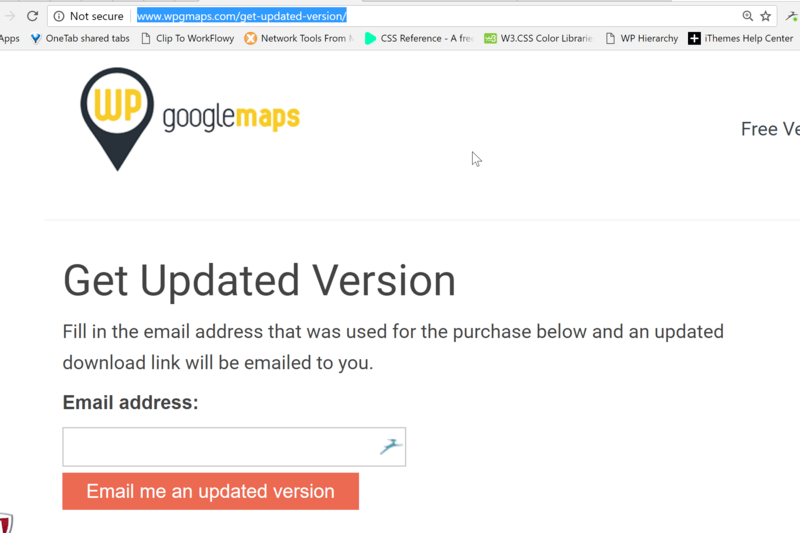 This article covers getting a new download link for WP Google Maps. This documentation is current for WP Google Maps version 6. A new version of the Pro Add-on can be obtained on this page on the WP Google Maps website. Enter your purchase email address and field. Then click the Email me an updated version button. Please note that this system will not work until such time you have received your first purchase email. Please ensure to check your SPAM folder as well.